Active photography puts a great demand on both cameras and lenses. It makes sense therefore to use a B+W filter to protect your delicate front lens element against the elements such as blowing sand and dust, fingerprints and splashing water. 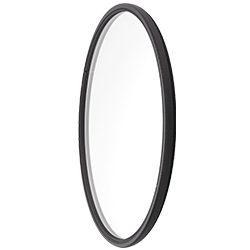 B+W filters not only cost just a fraction of the price of a new lens but they are also easier to clean. They can remain in front of the lens permanently as they are absolutely color-neutral, highly transparent and, thanks to the B+W MRC coating or B+W MRC nano-coating, have an extremely low reflection. The optical information remains unaffected when it reaches the image sensor (or film). With these extremely clear and highly transparent B+W protection filters, no exposure compensation factor needs to be taken into account. 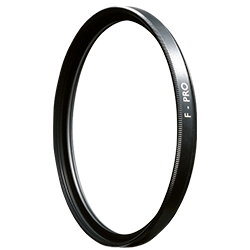 The 007 Clear filter meets the needs of many photographers for pure lens protection. Its sole purpose is to keep dirt, sand, and moisture off the front lens element. This extremely clear special glass with high transmittance is available only with the multi-layer B+W MRC coating (Professional Line) or the B+W MRC nano-coating (Premium Line). The hydrophobic coating reduces the adhesion tendency of dirt particles and water droplets. The advantages are; extremely easy cleaning and maximum reduction of reflections.